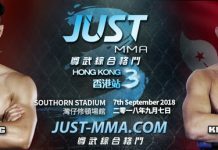 JUST MMA will once again return to Hong Kong on September 7th for another exciting night of MMA! Our first match up for the “JUST For Good” charity programme will be an amateur charity match between the Australian grappler Adam Hunter and Hong Kong local Striker Lawrence Li. 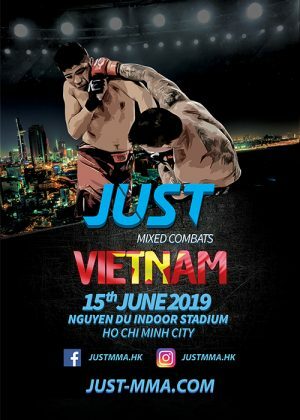 After training at VO2 Fitness & Martial Arts Centre, Versus Performance & sensory FIGHT CLUB in a specifically designed MMA program, the two will go head to head to fight for their dedicated charity. Adam is dedicating his fight to raise money for Dementia Australia NSW Division while Lawrence is fighting to support The Samaritans Hong Kong. 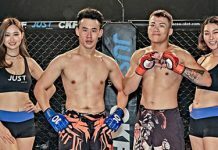 Previous articleGet Ready For JUST MMA – Hong Kong 3!